Is there any better way to shop than strolling down a tree-lined main street, looking at window displays by merchants that you simply cannot find anywhere else? As powerful as the photos on your phone are, the treasures that return with you are priceless. While the line-up of local merchants is simply too diverse to list here, we’ve given you a few places to start. Have fun exploring! Looking for a unique little trinket that would make a perfect gift? Drop by the well-stocked gift shops that can be found in just about every village in the region. From candles to kitchenware, you will discover new treasures at Life’s Little Pleasures, Laura’s, Cottage Blue and Mrs. B’s Gifts & Home Decor in Cornwall, as well as at Auld Kirktown in Lancaster, Town and Country in Alexandria and Marlin Orchards in South Glengarry. The centuries-old history of the region is reflected in the numerous antique shops that await the curious collector. One of the largest is Johnson’s Antiques, with over 6,000 sq. ft. of retail space on Highway 138 in South Stormont. Other finds can be found on Sundays at McHaffie’s Flea Market in Morrisburg. If you time your visit right, you will also want to check out the action at a local auction – there is always a deal waiting to be had. Cornwall and the Counties of SDG are home to dozens of talented artists and artisans. Their wares can be found at dozens of home studios, or at any number of local merchants and restaurants. A great way to discover many artists is at area fairs and festivals, including the Apples and Art Studio Tour in September and the popular Trunk Sale at Marlin Orchards in November or visit the Community Market in Long Sault for year-round local treasures. Taking home a piece of art is just one way of capturing memories of your visit to the region. Sometimes the best souvenirs are the memories you can savour. Check out the award-winning artisan cheese at Glengarry Fine Cheese in Lancaster, or the flour made from ancient grains from Against the Grain. Marrow and Spice in Cornwall carry dozens of local food products, including Roadapple Ranch Honey, Biemond Yogurt, Gordz Hot Sauce, Crave Tea and Fairy Sweet Chocolate. Looking good is half the battle, no matter what the sport. If you really must have the latest from popular athletic brands such as Nike, Adidas and Under Armour, check out the line-up at Rookez-Edge and Sport Chek in Cornwall. For golf equipment and attire, visit the pro shops at Archies or any of the dozen major golf courses in the region. One advantage that smaller merchants have over their big box brothers is that each clothing line has been vetted by the owners themselves. Discover the fine fashions at stores such as The Squire Shop, Kastner’s and Schulman’s in Downtown Cornwall. If you are looking for a gown for a wedding, you will want to drop by Salon Alliance Bridal Boutique and Juliannah’s Bridal in Moose Creek. At the entrance to Upper Canada Village is one of Eastern Ontario’s largest gift shops open to the general public. Here you can buy a wide variety of quality Canadian crafts made by Village Artisans. You can choose from a selection of dinnerware, toys, and clothes that will make great souvenirs. The Village Store also carries a superb selection of books, from heritage themes to craft techniques. The Village Store’s pantry offers a multitude of teas, spices, jams, and marinades. Best of all, you can purchase some Village Bread baked fresh daily, and Cheddar Cheese made at the Village Cheese Factory. They say a diamond lasts forever, and what better way to capture the vibrancy of your visit than with a little bit of bling? Drop by the landmark Pommier Jewellers in Downtown Cornwall, or the Jewellery Factory in South Lancaster. So little time, so much shopping! Get everything you need at local shopping malls, starting with Cornwall Square in Downtown Cornwall with 70 stores. 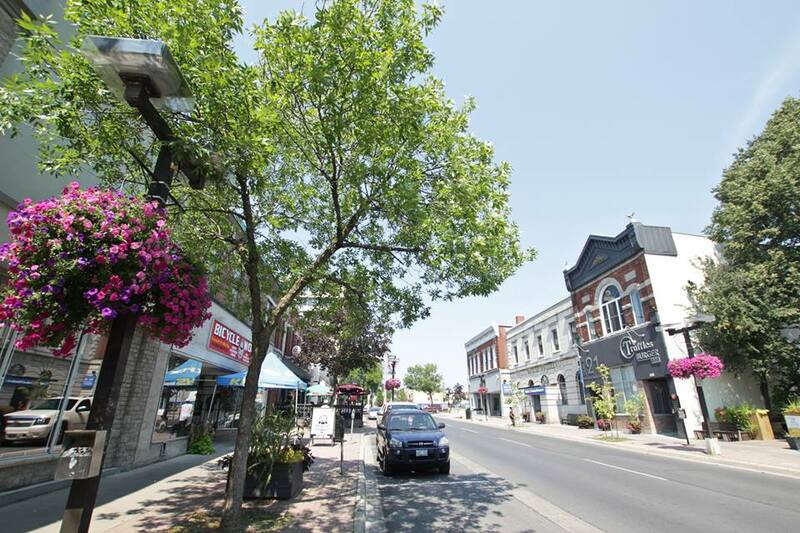 You will also want to check out the big box retailers on Brookdale Avenue as well as shopping plazas in Morrisburg, downtown Alexandria, and Moose Creek Mall.